John Goodman is eager to build a new series, ABC’s The Conners, from the wreckage of last spring’s Roseanne cancellation, but there’s clearly something — make that someone — missing. “It felt great to be back, but there’s a hollow centre. I miss Rosie real bad,” says Goodman, who worked with Roseanne Barr for a nine-year run starting in 1988 and last year’s top-rated revival before she was fired after a racist tweet last spring. 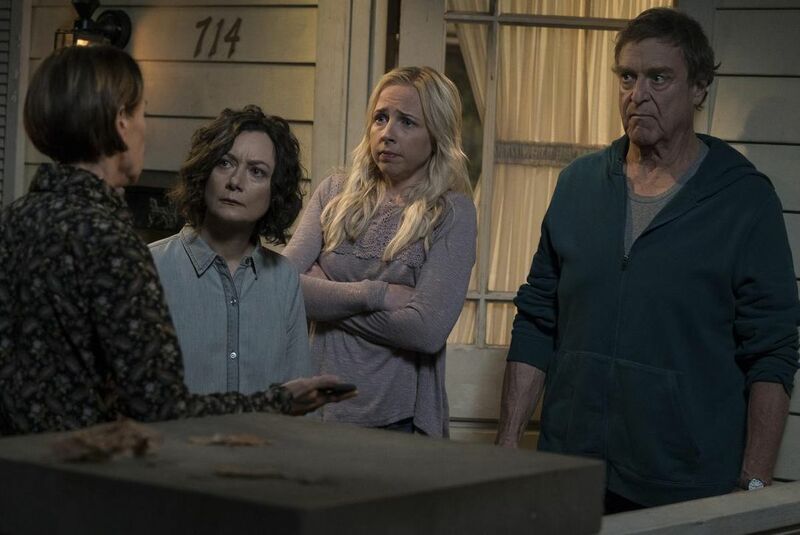 With the exception of Barr, Goodman, who plays Dan Conner, will press on with the rest of the cast in the spinoff (Tuesday at 8 on ABC), which includes Sara Gilbert, Laurie Metcalf, Lecy Goranson and Michael Fishman. The blue-collar Illinois family will adjust to the apparent death — confirmed by Goodman in an interview in August — of irreverent matriarch Roseanne Conner, whose absence will be explained in Tuesday’s premiere. The Conners will continue to look at topical issues from a working-class perspective, including health care, drug use, immigration and the struggle to make ends meet. Roseanne’s rambunctious political opinions, and boosterism for President Trump, will be absent. But a new character, son D.J. Conner’s military-veteran wife, Geena (Maya Lynne Robinson), adds a different conservative perspective as an orderly, churchgoing arrival in the none-too-disciplined Conner home. Roseanne, a huge and influential hit during its first incarnation, became TV’s top-rated show (averaging 20 million viewers) and a cultural phenomenon when ABC revived it last March. But the network cancelled the series in late May after Barr’s racist tweet about Valerie Jarrett, a former adviser to president Obama. Facing a huge hole in its schedule, the network was interested in a spinoff, and — because the show had already been renewed for a new season — the stars were owed pay for seven episodes. Werner says he considers Barr family and has been in touch since she was fired. “In my last conversation with her, she was doing quite well,” he says, predicting she’ll have “mixed feelings” about the new show. In the new 10-episode season, Darlene (Gilbert) starts a new relationship after learning her ex-husband David (guest star Johnny Galecki) has a girlfriend (Juliette Lewis); and Jackie teaches English as a second language and starts a relationship with one of her adult students. Muslim neighbours who drew Roseanne’s suspicions — and then support — in Roseanne return for a Conners Halloween episode.